The future of New Zealand's rural communities is often in the news. Empty shops, depopulation and lack of jobs are offered as signs that many towns are dying. However, the strength of social ties and development of digital technologies, the innovations in rural entrepreneurship and the functioning informal economy suggest that some rural communities are in good health. There is no getting away from the challenges to the rural sector. But what if you consider economics AND demography AND the environment, aiming for a holistic description of rural communities? Then the picture looks quite different. Rural communities have shown themselves to be resilient over many years, and that is likely to continue. Most importantly, people in rural communities, in townships and on farms, have options. 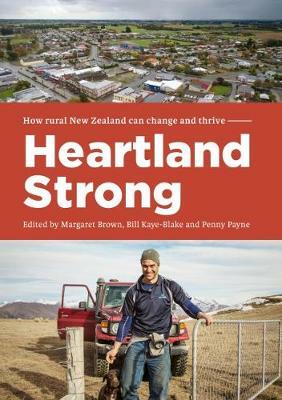 This important book, based on years of research, shows how, and provides useful insights into the ongoing process of change in rural communities and the resources on which they draw to support their resilience. It offers a positive message and some blueprints for progress. Dr Margaret Brown, Senior Social Scientist in the People and Agriculture team at AgResearch, is based in Palmerston North. Margaret has a Bachelor of Education (Hons) and a PhD in Education from Massey University. She has an extensive background in farm systems, as she co-owns and manages a mixed farming enterprise in Manawatu with her husband and son. Margaret currently leads the Resilient Rural Communities research programme under which the research behind this book was conducted, and which looks at ways to codesign, construct and evaluate pathways rural communities can use to build resilience capability. Dr William (Bill) Kaye-Blake, Director at PricewaterhouseCoopers (PwC), is based in Wellington. He has been studying food and agriculture for 25 years and is currently involved in interdisciplinary and international research on agrifood value chains, overseas consumer trends, and pathways for sustainable and resilient agriculture. He leads research programmes in two New Zealand National Science Challenges (High-Value Nutrition and Our Land and Water) and contributes economics and modelling expertise at AgResearch. Bill leads the Economics Consulting team in Wellington for PwC NZ and has contributed to consulting projects in Australia, China, New Zealand and the United States. Bill is also an Honorary Associate Professor at Lincoln University and adjunct Lecturer at Massey University. Penny Payne, Social Scientist in the People and Agriculture team at AgResearch, is based in Hamilton. She has a master's degree in community psychology and has studied at Victoria University of Wellington, the University of Waikato and City University of Hong Kong. Her current research areas include resilience, extension and education. Penny is currently evaluating extension programmes in climate change and biosecurity, targeting community, industry and school children. She also specialises in social network analysis, mapping relationships to explain and increase network resilience. Penny has worked with diverse audiences including rural communities, government, industry, not-for-profits, school children and regulatory organisations.